I love a good gel manicure, especially one that I can achieve right at home. Did you know that there are actually a few different types of gel nail polish? I tried and tested a dozen, and most of them don’t need an LED/UV lamp to set (like at the salons). These gave me super-polished, long-lasting, and glossy nails that I couldn’t stop admiring! Let’s take a look at some of the best gel nail polishes out there. These nail polishes by Sally Hansen are my absolute favorite, and the best part is you don’t need a UV light for the formula to dry. The brush is convenient to hold and use. It does not chip for a good two weeks, and its shine lasts long. These come in over 100 gorgeous shades that also include some popular neutrals and metallics that you won’t find in other brands. They’re priced reasonably and are value for money. I highly recommend trying these for a quick, at-home gel mani-pedi! Essie is one brand that has never failed to impress me. It comes in a fun wonky-shaped bottle, and the stem of its applicator is also twisted to ensure that no excess product is picked up and dropped on your nails. Two coats of this polish leave you with a gorgeous shine and applying the Gel Couture Top Coat only makes the look last longer and feel like you just stepped out of the salon. Another factor I’d like to mention is its pigmented formula that is so opaque – I can’t get enough of it. These come in 54 shades including the top coat – you must grab these when you can! 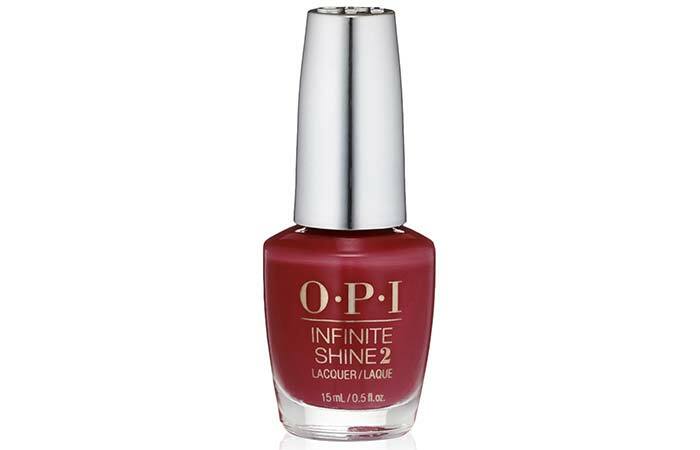 Infinite Shine is OPI’s gel-hybrid formula that has a super creamy and opaque finish to die for! I used this range’s primer and top coat, and I must say, I was very happy with the result. It also gave me about 12 days of wear-time, which is great. This is easy to apply, the applicator brush is incredible, and two coats give you a fully opaque finish. Also, you have a large selection of colors to choose from – pastels, metallics, nudes – you name it! If you want a super professional finish at home and you happen to own an LED light (you can buy these from Sephora), the CND Shellac Power Polish is a wonderful option. It lasts for over two weeks without chipping or losing its shine – which was oh-so-impressive! You also need to use the top coat from the same brand to get it right, and it will last really well. Also, this is a brand that a lot of salons use, and if you want to avoid the hassle of hitting the parlor each time, this is some great stuff that you need to try! This is one of the most popular gel nail polish brands in the market, and it indeed creates a gloss like you’ve never experienced before – without the need of curing the polish with a UV lamp. I loved the pigmentation of the color, which applied smoothly without streaking or dragging. The brush is wide and covers the nail bed, giving you full opacity in only two swipes. It does not chip, and the polish lasts for over ten days. I am also thrilled with the wide variety of colors that this brand offers. Must-try! I’m a big fan of Gelish, and I’ll tell you why! This is a brand several salon professionals prefer to use and going to the salon each time can get a little expensive, so I bought this nail polish so that I could just do it myself. It does work out a lot cheaper, and it’s pretty easy to use. Each shade is supersaturated and so gorgeous. You do need a UV lamp to cure this, or you can find an alternative method. 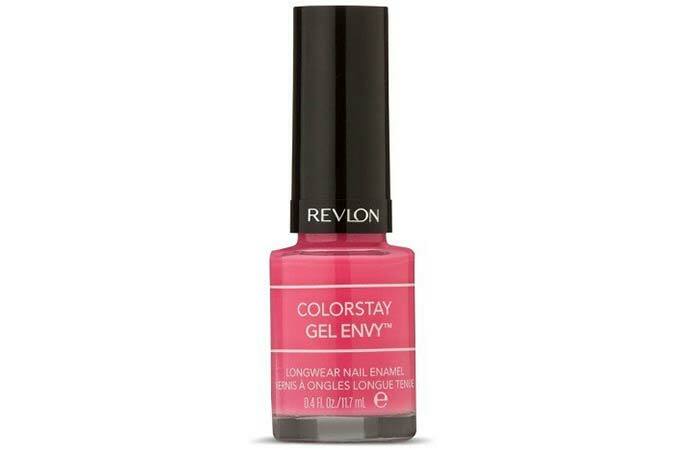 This is one of the best gel-grade nail polishes if you’re looking for a professional finish! Looking for a super affordable, budget-friendly gel nail polish? The Wet N’ Wild WonderGel Nail color is your answer. I really enjoyed using these polishes for so many reasons – they come in stunning colors that are highly pigmented, they’re easily accessible, and they go on so smoothly. You can just let your nails air dry, and you get great results. Top it up with the WonderGel top coat, and you will have long-lasting, shiny nails for a good two weeks. This baby is my superhero of nail polishes! This comes in several finishes – cremes, glitters, and shimmers – so you have a wide range of shades to choose from. The formula comes in 49 different colors to be precise. The application was smooth and easy, and you don’t necessarily need to apply a base coat. It takes two coats of color for a fully opaque finish. If you’re on the hunt for some easy to use, durable color with several shade options – I highly recommend trying these! 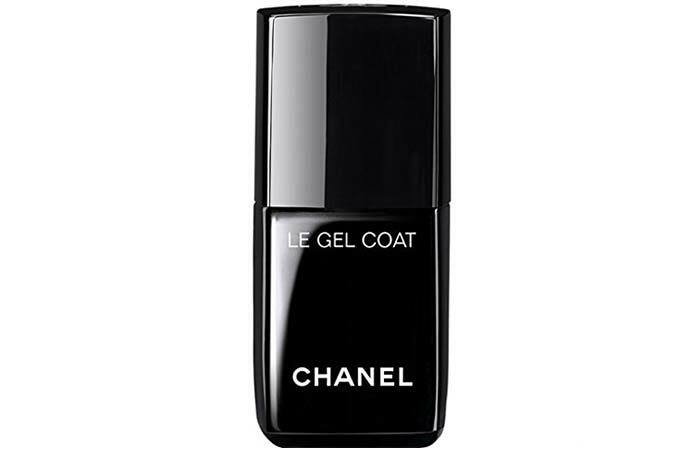 I love me some Chanel, and so I decided to invest in a premium quality gel top coat. This top coat by Chanel is everything you would want from an ideal top coat. It’s a thick, glossy kind of top coat. The packaging is great, and I love its wide brush, which makes application smooth and easy. The final result is stunning – your nails look supple, even, and so shiny! I give this a big thumbs up. 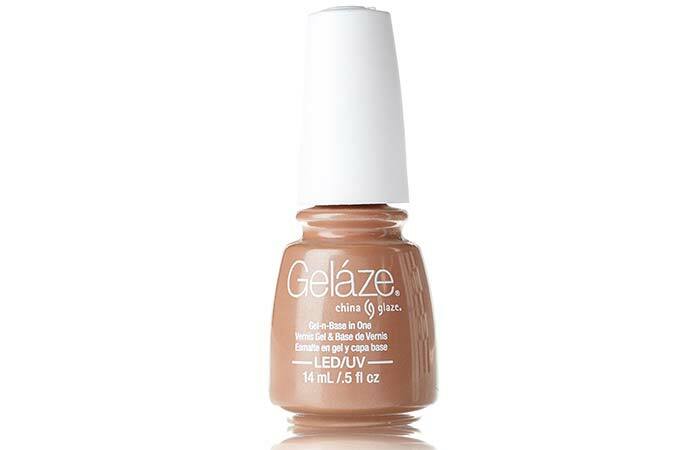 Want the gloss of a gel mani without stepping into the salon? 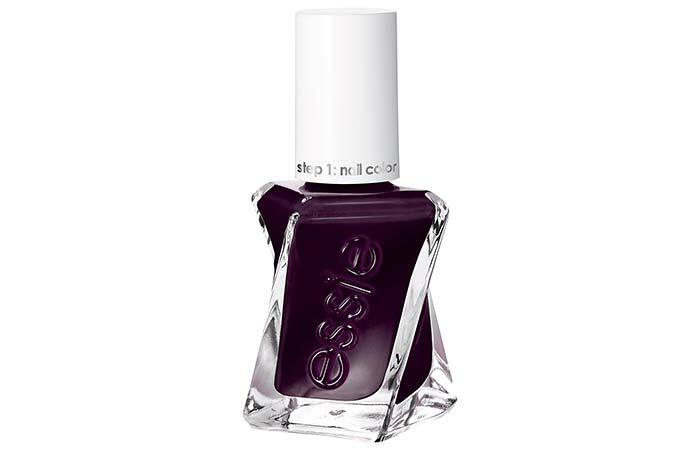 Then, you ought to check these polishes out. I love the shine and the glossy effect these give my nails, but I was a little disappointed that the polish chipped rather easily. This can be avoided by applying a high-quality top coat over your color. If you’re looking for a healthy alternative to gel manicures and one that is easy to remove – you could definitely give this a shot. 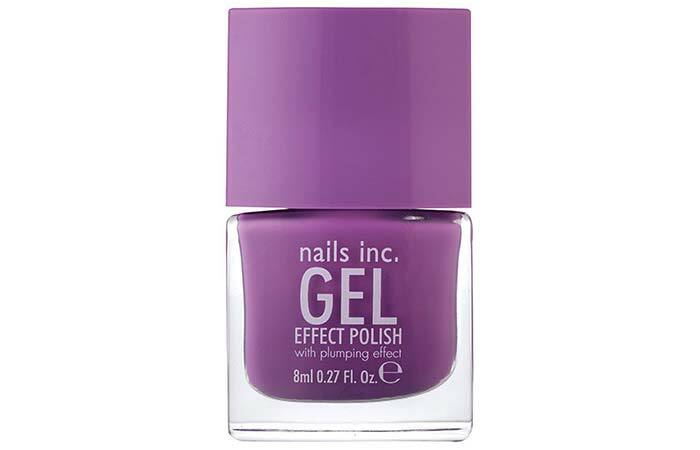 This is one of my favorite budget-friendly gel nail polishes that’s so easy to work with. I also adore the wide variety of shades this range has to offer. The packaging is great, and the brush is easy to hold, and it picks up the right amount of product to cover your nail bed. It leaves you with a beautiful, professional finish and does not chip for a whole good week. Also, you don’t need to soak this off to dry, it just air dries rather quickly. Make sure you apply a top coat to finish. 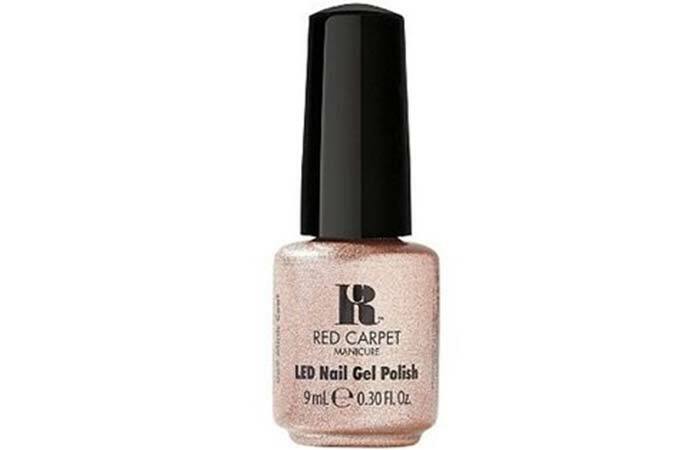 This nail polish by Red Carpet is a professional gel polish that’s used in a lot of salons. It comes in 152 different shades and is very user-friendly. The brand also has beginner kits that come with everything you need to start off. The formula is great, and it lasts for about ten days on me, which is a decent time. Although it’s a little pricey, it’s definitely worth every penny. I’ve narrowed it down to a bunch of the best gel nail polish brands to make it easier for you to choose. 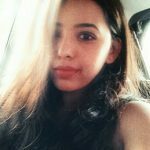 Here are a few handy tips that may be useful to you. Some of the professional gel nail polishes like Shellac need a UV or LED lamp to cure (dry) the polish. However, you can still use it without a UV light, but the final result will be slightly different – expect the finish to be lower in quality. The alternative method to a UV light is using an ice bath to freeze and dry the gel polish. Again, the effect won’t be as great. Some gel nail polishes come in kits with a tiny UV light to cure the polish. So, if you want an actual salon-like finish, you can opt for these kits instead. Applying thinner coats is always better so it settles into a way more pleasing finish. You don’t need to worry about UV lights with home gel nail polishes as their formula is already gel-like. However, it’s best to apply a base coat, the color of your choice, and then a gel-based top coat to give your nails the appearance of a salon-like finish. That was my roundup of the 12 best gel nail polishes that you absolutely need to try for a chip-free, long-lasting, shiny finish. Do you have a go-to brand or color? Share what you love in the comments section below. What’s the difference between regular nail polish and gel nail polish? A regular nail varnish generally consists of three coats: a base coat, the polish, and a top coat. The main difference between a regular and a gel polish is that the former air-dry without a lamp. Professional gel polishes require a UV/LED light to cure (in simple words, dry). Gel nail polishes last longer and resist chipping. There’s also a difference in the finish and the shine or gloss of the final look. However, several brands have introduced gel finish nail polishes that can just be air-dried. Is gel nail polish bad for you? The major downside of gel manicure is its crucial UV-curing step. The light frequencies from the UV light can cause DNA damage to the skin, resulting in premature aging and possibly cancer. However, you can minimize the risks by keeping the duration and frequency of light exposure to the minimal. Also, using an LED lamp is a much safer option. Is it safe to use gel nail polish during pregnancy? It’s best to use gel nail polish sparingly during your pregnancy. This is mainly due to the chemicals and fumes that can make one nauseous, especially during pregnancy. What are some of the best gel nail polishes that don’t require curing with a UV light? Sally Hansen Miracle Gel Collection, Essie Gel Couture Nail Polish, and OPI Infinite Shine 2 Lacquer are user-friendly and some of the best options for an easy at-home gel mani-pedi. Which is the best professional gel nail polish that is used in salons? 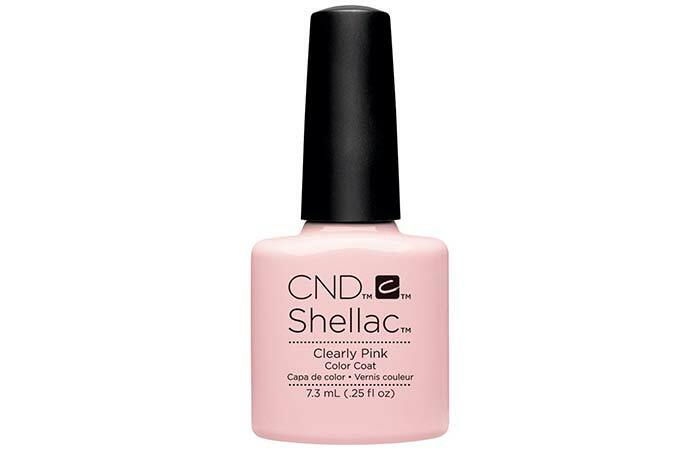 CND Shellac Power Polish is a very popular choice even among nail professionals and salons. It is cured using an LED lamp or a UV light and is extremely durable.